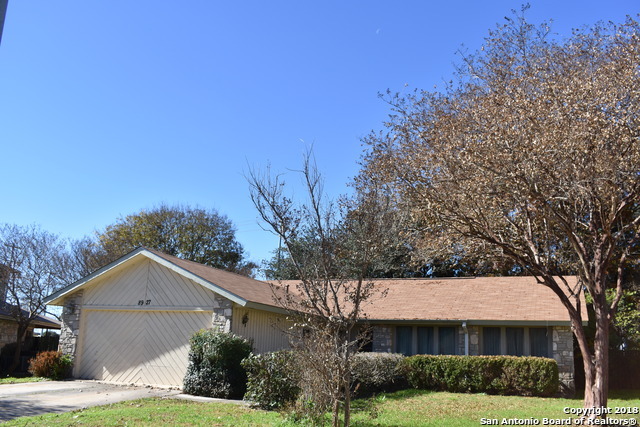 All SILVER CREEK homes currently listed for sale in San Antonio as of 04/26/2019 are shown below. You can change the search criteria at any time by pressing the 'Change Search' button below. 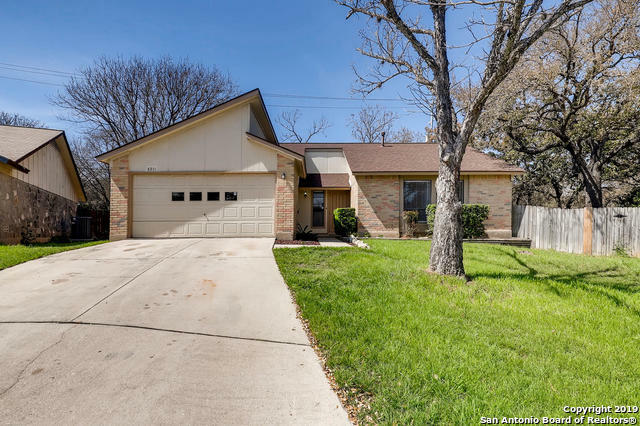 "Beautiful recent Remodeled One-Story Home with a nice open floor plan, located in the Great NorthWest, close to school districts (NISD), shopping centers and SeaWorld Area. Features Mature Oak trees in the back yard, where the Covered deck recesses into the above ground pool. Wide Living Room area with wood floor, features nice high ceiling and fireplace. 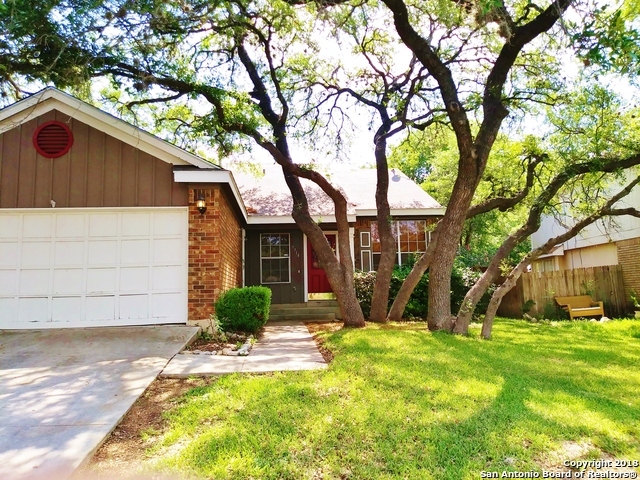 4bd 2bath, with full Remodeled master bed and bath. Property has New roof"
"You are going to LOVE this home! This is truly a case of Square Footage doesnt tell the whole story! There is space for everybody! A huge living room, and a large dining room, just to start. A FABULOUS Sunroom, for those beautiful San Antonio evenings! The oversized office, which could also be used as an extra bedroom, or apartment, has its own bathroom, and its own entrance! Ceramic tile, and Laminate thoughout! Huge, Beautiful Lot, with lots of Mature Trees!" "Large home located on a corner lot with so much potential. Master down. 3 living areas, to include an upstairs gameroom. Island kitchen. Jack and Jill bath for 2 bedrooms upstairs. Huge entertainment room with wet bar that leads out to covered patio. Sprinkler system. Air conditioned workshop." "A place to call home! Come see this charming 3BD/2BA in the Great Northwest located in a private cul-de-sac. 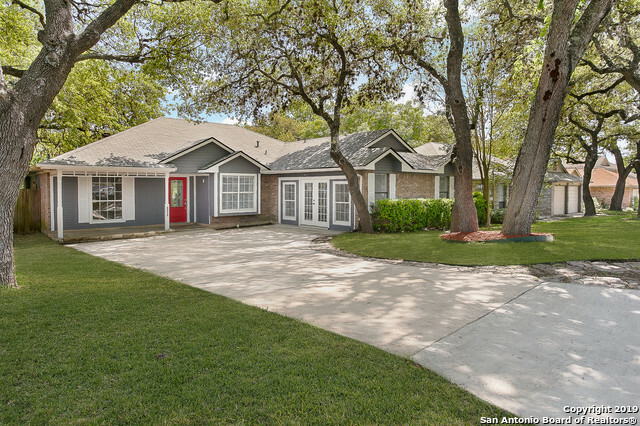 Enjoy tile flooring throughout all 1702 square feet of this home complete with an oversized 2-car garage. Washer, dryer, and refrigerator are all included. Spacious master suite features a large walk-in closet and dual vanities in the master bath. The tranquil back yard boasts a huge covered patio great for entertaining w/mature trees and your very own detached small workshop." 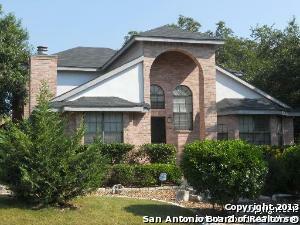 "This San Antonio one-story offers granite kitchen countertops, a fireplace, and a two-car garage. Upgraded features include fresh interior paint and new carpet in select rooms. A pool is included as part of the community HOA. Home comes with a 30-day buyback guarantee. Terms and conditions apply." "*The Potential!! *Can be an investment property or your next home! *Home sold as an As-Is property. *Open Living Room w/High Ceilings, Cozy Family Room w/ Fireplace, Cozy Kitchen & Breakfast Area *Master w/French Doors lead to Master Bath, Converted Garage could be an extra bedroom or study *Outside garage door is just for show *Minutes away from Bandera Rd, Loop 1604, Various Parks, Leon Valley, Northwest Vista College and Sea World"